I'm glad to see the GNRs open for business again! I have been thinking about who to nominate this round for about a week, ever since lunch with Dickson yielded the news that nominations would open again soon. It's a tough call because there are so many worthy as-yet unnominated places. After careful consideration, I would like to nominate Burt's Place in Morton Grove. Burt's has a somewhat unique story here on LTH. The restaurant went from completely off the radar to a universally loved destination in a period of just 4 months (first mention was on 1/28/06). Burt's cooks a mean pizza in a very unique style, with roots far back into the annals of Chicago Pizza History. He, and wife Sharon provide a pizza parlor equivalent of the corner pub. It's a comfortable room with always stimulating conversation. Burt has enough stories to last a lifetime of visits. I feel that Burt's Place is the epitome of a Great Neighborhood Restaurant. Interestingly enough, all of the discussion of Burt's takes place in a single thread, which originally was about the fire at Pequod's on Clybourn. P.S. One more thing that makes Burt's great (at least for me) is the fact that The Chow Poodle has declared it her favorite pizza of the moment. Based partly on my 3 enjoyable visits to Burt's and, mainly, on the fact Burt's is CPA Approved, I second the nomination. Do we need a third? If so, count me as third. I went back to Burt's again recently, and Buddy Roadhouse was there this time. He's an outgoing fellow and clearly Burt's #1 fan, though there is a growing group of fans here as well. I can see why Burt and his pizza inspire that kind of loyalty. Let's hope fewer of Burt's fans remain in the virtual realm as the summer wears on. My first clue that Burt's was truly a "neighborhood" joint was when the owner asked us how we came to find the place, even though they've been there for the better part of two decades. Burt's is hidden in plain sight, getting by on serving pizza to the neighborhood. My first clue that Burt's was "great" was the pizza. It's a style of pizza that you have to be in the mood for, but when you're in that mood it really hits the spot. Hearty dough, carmelized crust edges, and fresh sweet onions make up a terrific pie at Burts. My first clue that Burt's was a Great Neighborhood Restaurant was the place itself and the people. Burt and his wife seem genuinely pleased to serve us pizza, sit and chat, and give a tour of their historic memorabilia. Burt's is a special little place that more people need to know about. I heartily endorse this nomination. Please count me in on the list of people who stand behind the nomination of Burt's for a GNR. I will soon be sitting down to a few leftover slices from my last visit up to Burt's. Even after a few days in the fridge, my Burt's leftovers will be better than any pizza I can order in my neighborhood. Consider this a vote from the lurkers if you like. (I haven't yet gone to enjoy Burt's Pizza, but based on the posts I'm eager to.) I google'd "burt's pizza" and LTH came up as the first two results, both from that "What happened to Pequods" thread. I did the same check to a handful of other GNR nominees, and a few had a LTH result on the first page, but none I checked the same result as Burt's. The only question is, who stole W.C. Fields? From there I could almost have guessed that reproduction posters for Frankenstein and King Kong (printed by Portal Publications, available at Pier 1s everywhere c. 1972) would be found inside, just as they were in my bedroom. So, what more is there to say about Burt's. Terrific handmade pan pizza, high quality ingredients and no industrial shortcuts, recognizably the progeny of the Uno/Malnati's school, recognizably the progenitor of Pequod's and Gulliver's, both owned by Burt at some point. 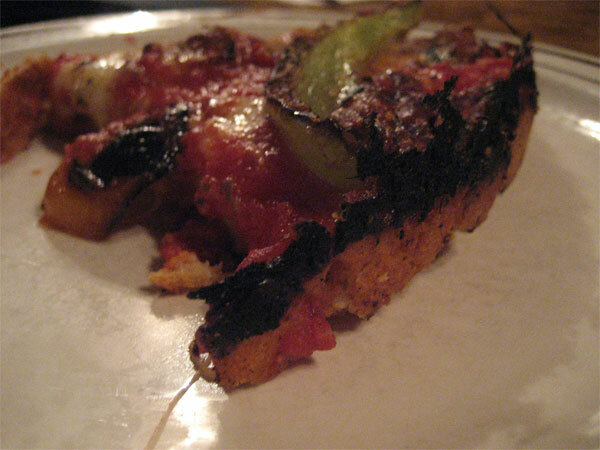 Subtler than Pequod's is now, they take one note in Burt's symphony (the burnt-edge crust) and blast it out, which being a fan of burnt things, I like too. It is all good, or in Burt's case, very good. But we're not here for pizza alone. As the only customers on a late Wednesday night, G Wiv and I had the full undivided attention of Burt and his wife Sharon, and, well, you could open another restaurant with the same recipe but you're not going to be able to open it in Burt's living room with Burt and Sharon for company. That part's unique and what makes finding Burt's Place, on its hidden little street near the upper tributary of Lincoln Avenue, a borderline surreal, totally delightful experience. 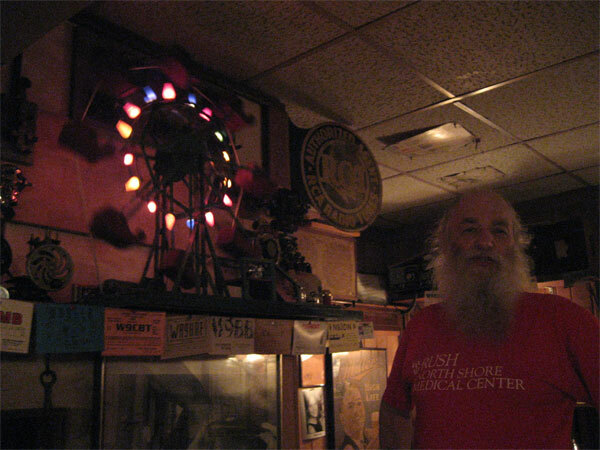 No, Burt is not seven feet tall, he was standing on a chair to show us a handmade ferris wheel toy he found somewhere. I'll note here just to make it easier for those following the GNR threads. (I posted in more detail to the massive Burt's thread.) Burt's has quickly (one visit) moved into my top tier for pizza in the area. Well deserved. Burt is a master baker of pizzas, one which you rarely encounter. If he worked in the corporate food environment, then he would be the master baker who trained the trainers who then train the restaurant cooks. While everyone certainly is doing a best effort, though not quite the expertise level of the master baker. Burt has perfected a recipe with carefully chosen ingredients. Under other circumstances, his master recipe would be evaluated and ingredients substituted for something judged equivalent because, "People won't notice." When we supped pizza from the master baker with his carefully crafted recipe and select ingredients, we immediately distinguished his pizza above many others. It is indeed fortunate Burt was identified to us by his friend and part time employee BuddyRoadHouse. I endorse this nomination for Great Neighborhood Restaurant. Burt's is the only GNR renominee who cannot be visited during this renewal period. However there were many who not only wish Burt well on his recovery. We also made an effort to eat his divine pizza before he closed for surgery. It has been a pleasure to support and spread the word on Burt, though nobody ever dreamed it would include a Saveur cover photo. I've told Burt on several occasions if BuddyRoadHouse hadn't posted, then we would have never known. 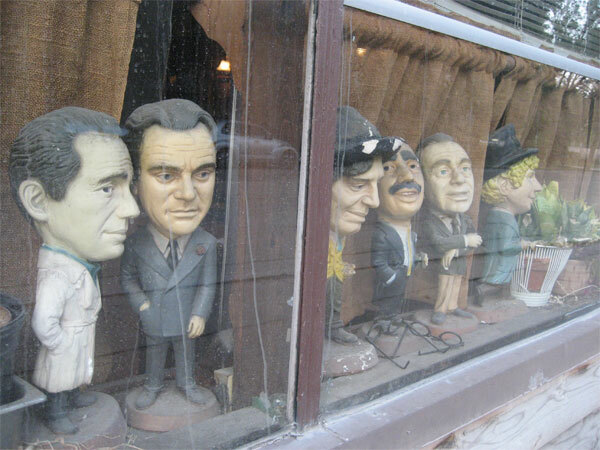 Josephine and I went to Burt's and Pequod's one evening simply to prove Buddy right or wrong. While there were similarities between the pizzas, it was abundantly clear Burt was the master of this unique pizza style. Pequod's clearly had a pedigree reaching back to Burt, though the technique was diluted by information passing down from cook to cook. I look forward to returning to Burts like many here do as well. 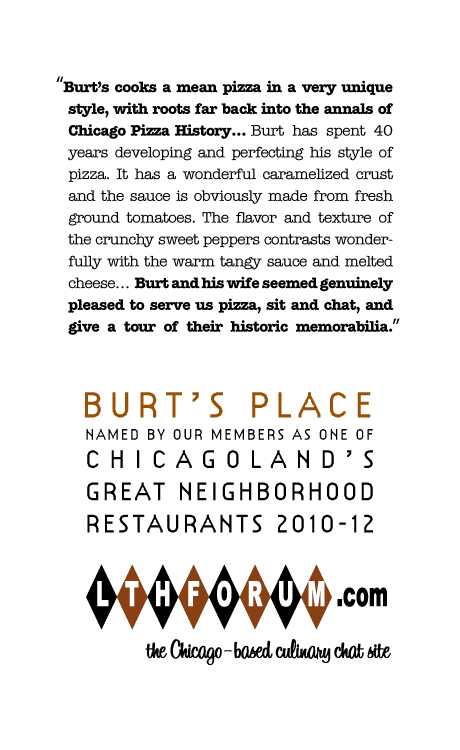 I heartily endorse Burt's for retaining his GNR designation. Burt's should be one of our easiest renewals, particularly because many of us went to get our last fix a few weeks ago. As good as pizza gets. I agree with the Burt's renewal, and I'm hoping we can organize a "Welcome back Burt" LTH event whenever he feels up to it. Gary and Tom - those are heartwarming comments and high praise from two discerning palates; Burt and Buddy will be proud. I join the chorus and hope to join you for a renewal / welcome back event. Hello Buddy, just found this forum. I suspect that I must know you, my friends and I used to go to pequods literally a few times a week from about 1975 and on. Tell me, whatever happened to Jeff, the waiter? Were the mints in the gramaphone on the southeast corner of Pequds donated to the Smithsonian? I look forward to seeing you at Burts, when does it reopen. As for the comparison between the two, Burts and Pequods, I tend to believe that while Pequods remains excellent and much better than just about anything else in existence, it has not stayed true to the original recipe, as has Burts. For instand both the cheese and sauce at Pequods taste slightly different than in the 70s. This troubles me, and is for example a reason why Poochies in Skokie remains way at the top of the hot dog/burger list, everything has remained the same for all these yrs. Thought I'd chime in from afar. Though I currently live in the region associated with New Haven style pizza, considered the apex of pizza artistry by many, I miss Burt's pizza -- it's unique. And no one should penalize the guy for being on the cover of Saveur. Burt is one dedicated pizza man, or "Pizza Dude" as one of his young fans refers to him. GNR renewal for Burt's? PIZZAKING wrote: Hello Buddy, just found this forum. PIZZAKING wrote: Were the mints in the gramaphone on the southeast corner of Pequds donated to the Smithsonian? PIZZAKING wrote: I look forward to seeing you at Burts, when does it reopen. I look forward to seeing you as well. Bring your own mints. Burt's is a gem. My favorite deep dish (by far) in the Chicago-land area. I heartily endorse Burt's for renewal. Another automatic renewal. Sure, you gotta know to order in advance - - and show up on time. But, you'll be rewarded with one of the best pizzas in the city. And when Burt and Sharon are in a chatty mood, all the better. Pretty much the definition of a GNR-type restaurant: a great place we want people to know about... but not everybody. I'm hoping for a visit shortly. I don't even really like pizza very much, but I love Burt's pizza! Definitely a slam dunk for me. There are days I am on the edge of wanting to apologize to Burt. He had this quiet life making pizza for his regulars and those lucky folks who stumbled upon him. Josephine and I took up BuddyRoadHouse's challenge to try Pequod's pizza circa 1985 at Burt's. I've told Burt I would have been just as eager to hate it and write it up as I was prepared to love it. Visiting both Burt's and Pequod's in one evening sealed it: Burt's is the master of his pizza style. Ever since that visit, a trickle became a flood of appreciative fans who admire his pizza. I know as long as I order my dough in advance, I am welcome at Burt's. I am happy to support Burt's as a GNR. Having pizza and chatting with Burt and Sharon is the culinary equivalent of a warm hug. Burt's Place, count me a fan! I normally cringe at the notion of anything but NY/Neapolitan style pizza, but Burt's is the one exception. Fresh, high-quality toppings, light as air crust, and Burt & Sharon are just such lovable characters. This is another out-of-the-way place to shock out-of-towners, as the unassuming tavern exterior does not betray the deliciousness inside. A GNR if there ever was one. I support renewal. I fully support renewal here, too. Burt and Sharon's place is a real gem with excellent, distinctive pizza. aschie30 wrote: I normally cringe at the notion of anything but NY/Neapolitan style pizza, but Burt's is the one exception. Fresh, high-quality toppings, light as air crust, and Burt & Sharon are just such lovable characters. This is another out-of-the-way place to shock out-of-towners, as the unassuming tavern exterior does not betray the deliciousness inside. A GNR if there ever was one. I support renewal. Ditto. I had a wonderful time with Sharon, Burt, & Jeff last night. Burt's Place is going into the monthly rotation. Burt's Place is my favorite deep dish pizza. The ingredients are fresh and flavorful and the crust is perfection. Sharon really livens the place up. She is the last of the red hot mama's for sure!